A seasoned hospitality vet with nearly two-decades of restaurant and hotel experience, Nathaniel Brethold owes his position as Nico Osteria’s General Manager to a chance encounter with One Off Hospitality Partner and Owner, Donnie Madia. After moving to Chicago in 2014 (and consequently having his first meal in the city at Nico’s sister restaurant, Big Star), Nathaniel watched Donnie speak at an event, and approached him afterward with his business card and a compelling desire to join the One Off family. 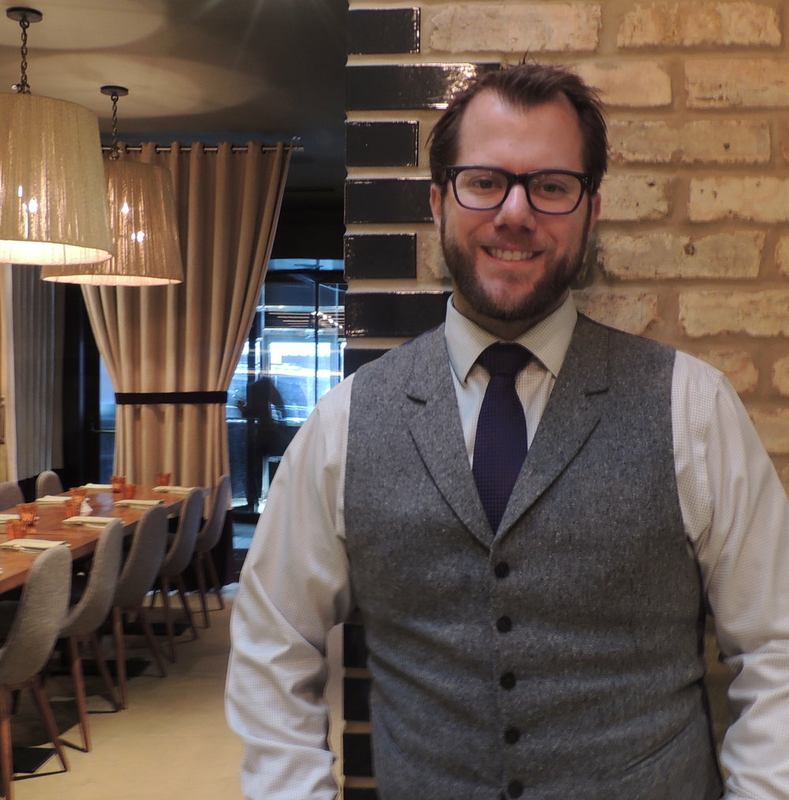 Four months later, Nathaniel’s trademark directness and warmth landed him in the role of General Manager, overseeing both Nico’s day-to-day operations and an expansive team of managers, servers, hosts, private-dining professionals and catering experts. Prior to joining One Off, Nathaniel honed his experience in the hotel industry, spending more than 15 years with Ritz Carlton Resorts. After graduating from culinary school at Johnson and Wales, Nathaniel began developing a true 360-view of the industry by working as everything from a dishwasher to a banquet server, and eventually earning the position of Ritz Carlton’s Food and Beverage Director. During this time, Nathaniel developed his business acumen and worldview alike, traveling across ten cities and three countries to open nearly a dozen Ritz Carlton hotel and resort properties. Nathaniel’s invaluable experience and perspective drove him to establish roots in Chicago, where he and his wife, who hails from Brazil, now reside with their two-year-old son, Tiago. When he isn’t spending quality time with his family, you can find Nathaniel traversing the floor at Nico, working seamlessly with both front-of-house and kitchen teams to ensure each guest enjoys every aspect of their experience. In Nathaniel’s words, “Restaurants are no longer just places to dine – we’re in the sensory experience business now, and the quality of our ambience, sights, sounds and menu all work in tandem to keep our guests coming back."